Scripting may not be the best word for the current mainstream state of automating and editing lineups, but nonetheless, Scripting is essentially automating a manual act using a coding language online. In this case, in the early days of DFS, scripting was used to automatically enter multiple lineups into the My Lineups pages on DraftKings.com and FanDuel.com as well as upload edits for these lineups and automatically enter these lineups into contests. In the current environment, scripting has gone mainstream in the form of Chrome Extensions. 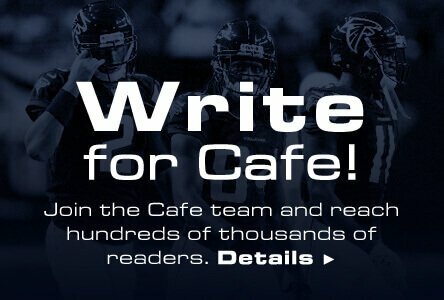 A number of tools including Colossus on Dailyfantasycafe.com communicate with DFC Lunchbox (our Chrome Extension) built to automatically enter lineups into the My Lineups page on DraftKings.com. However, as of 1/29/16, DraftKings is no longer allowing automated communication with their site and we will be deprecating the Chrome Extension. Maxdalury may not be the first to use automated means to enter and update lineups on DraftKings & FanDuel, but he has become the most infamous. Most notably, in one DraftKings.com contest, maxdalury edited more than 500 lineups once injury player news broke at once in the final minutes before contest went live. The player did well and maxdalury took multiple positions in the top 10 and had a 6 figure payday in one night. People noticed and it became a hot topic. However, there were a number of users that were very likely using scripting prior to maxdalury. As of 1/29/16, DraftKings policy states that they are no longer allowing external automated interaction with their website. This policy negates any use of scripts or automated tools from external sites. It doesn't get much clearer. FanDuel's policy states they are no longer allowing external automated interaction with their website.. In order to communicate automatically with FanDuel.com currently, an external site needs to communicate and get approved by FanDuel. FanDuel is also limiting their API to a small number of partners. Scripting is going to happen regardless of the policies put in place by DraftKings & FanDuel. However, these policies are necessary for a number of reasons. One, these sites need to try to regulate automated means of entering contests, not because it's unfair, but because it's become such a hot topic in political arena's. It's the nature of the beast and they must go this route. What these sites can and are doing is limiting access to API's in order to make it difficult and in some cases impossible for some sites to continue their Chrome Extensions. However, there are sites and users that have created their own scripts that don't need the API endpoints and will still be able to automate the entry and editing of lineups. With DraftKings & FanDuel cracking down on the larger partners, affiliates and parties using the API's and disallowing scripts or Chrome Extensions or any other means of automated communication, it's our belief that this exacerbates the issues, gives power users with scripting ability a larger advantage and in the long-run is the wrong strategy. However, in the current political client, we understand the short-term strategy. It is our viewpoint that advances in technology in DFS should be embraces and made available to all users. This is the only true way in our minds to level the playing field, because users are going to automate whether the DFS regulate or not. This is the only solution in our minds. The way to truly regulate the advantages of automated tools is to limit the number of multi-entries allowed in certain contests. DraftKings is taking steps to help users with automation on their own website. Global Player Swap is an important functionality as well as the ability to upload up to 500 lineups via csv. However, there are still challenges with making the process easy and you still have the issue of a large number of users relying on external tools that can't automatically integrate with DFS Operator website. I do see the DFS operators getting more involved and integrating additional automated features and tools into their existing platforms.